The following is excerpted from the Sanctuary Press Release. Manitoga / The Russel Wright Design Center in Garrison New York presents 2015 resident artist Stephen Talasnik's SANCTUARY. 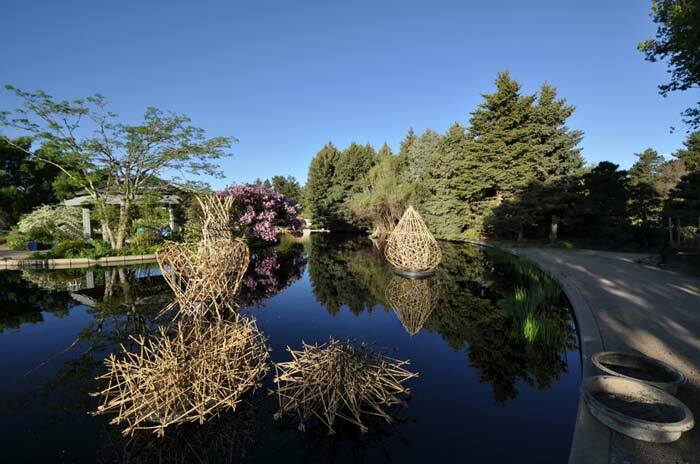 The large-scale installation is comprised of woven reed structures that will float in Manitoga's Quarry Pool adjacent to the original home of modernist designer Russel Wright (1904-1976). 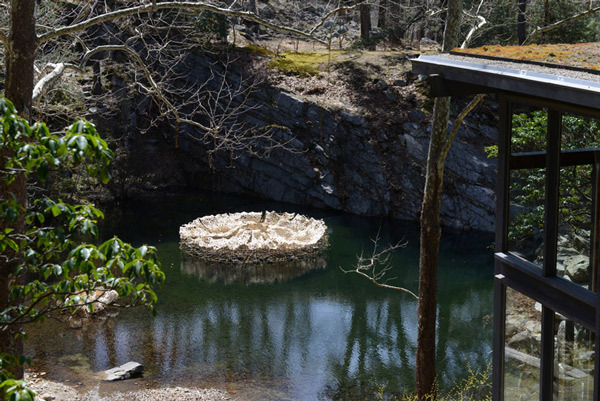 The work will be on view to Manitoga's tour and program participants from May 1 through November 9, 2015. Talasnik was drawn to Manitoga's seamless architecture and natural splendor. "There is an intimacy to the choreographed environment that engages the senses. It compels the individual to confront an immediate and intimate space within a suggestively theatrical natural sanctuary". 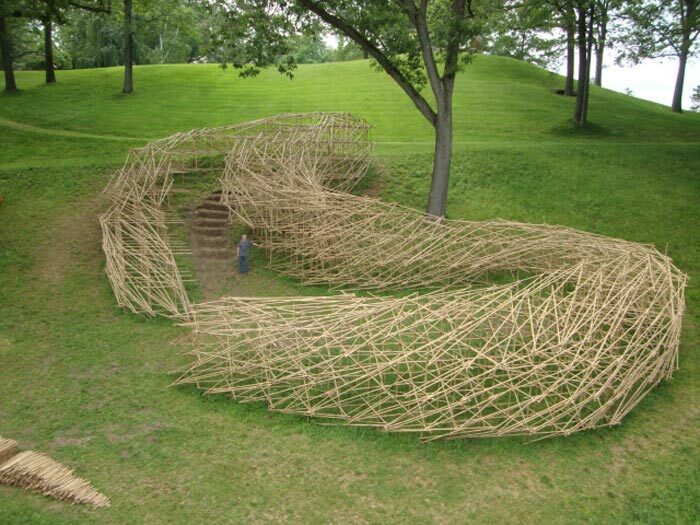 Allison Cross, Manitoga's Executive Director says of Talasnik's work, "Similar to Wright's intervention at Manitoga, Talasnik's work occupied the intersection of art, innovation, science and nature and enters into a profound dialogue with place. Of the moment, it is variable and temporal, responding to the seasons and to changes in the environment." In his lifetime, Russel Wright transformed Manitoga's abandoned quarry landscape into a place of astounding beauty and design. Of his own tenure here, Talasnik believes "the responsibility of the artist is to take nature and drag it through their own personal experience with the objective of creating a new nature--an organic, near seamless synthesis of nature and personal knowledge."